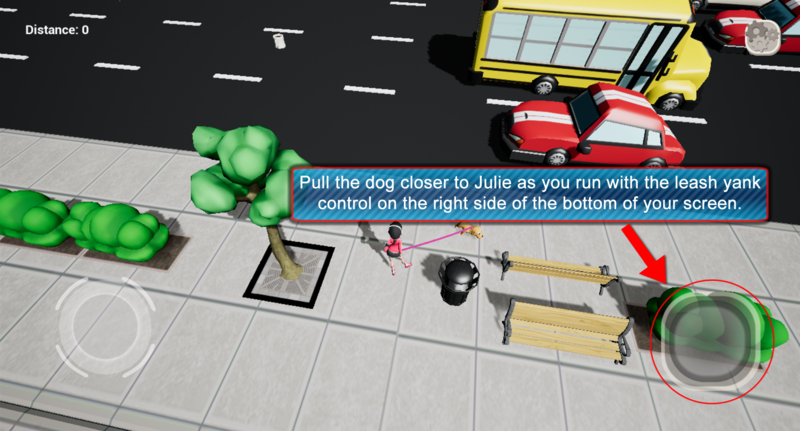 A Game about walking, and dodging cars with your dog! Welcome to the Don't Kill the Puppy game's official page. Click or tap to download the game here. Please, check out this page for more info on the game, how to play and Frequently Asked Questions! 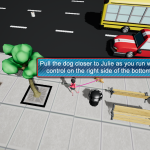 So, go ahead and have fun, check out our game and remember, "Don't Kill The Puppy"!! WHAT'S THIS GAME ALL ABOUT ANYWAY? 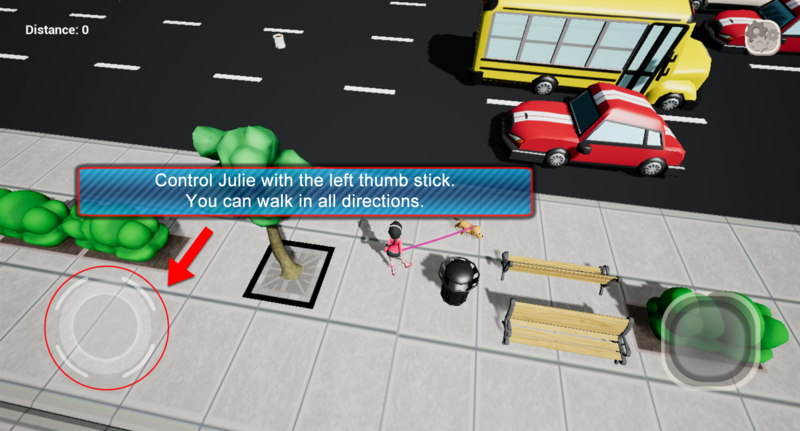 Don't Kill the Puppy is a crazy take on an old classic style game. The rules are simple. Take Julie, and her dog and get them across the busiest streets in your city. Just watch out for cars, trucks, buses, and trains, because trust me...they are not looking out for you! Don't get hit or it's game over! 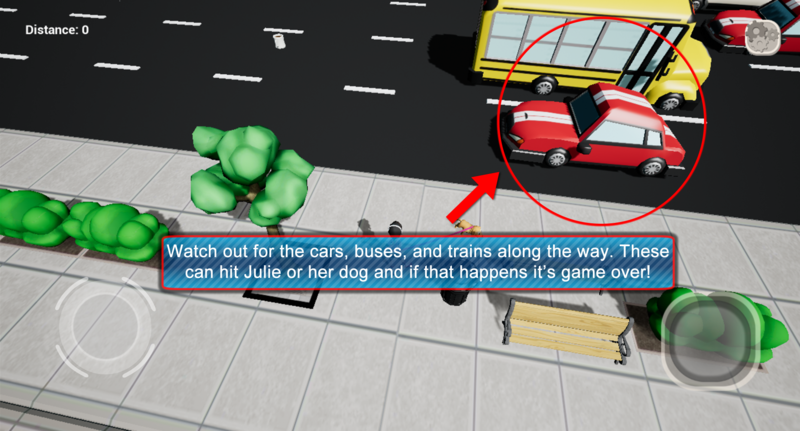 If either Julie or the dog gets nabbed by a passing car, or traffic element you die and its game over. No continues, no retries and no save points! 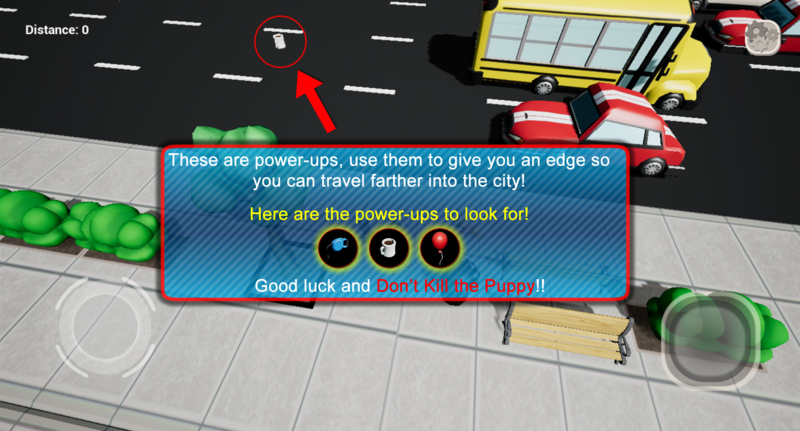 This game is just a pure infinite challenge, so see how far you can make it, and remember Don't Kill the Puppy! Yes, of course. The game includes 22 individual achievements, some of which are "hidden", but go ahead we dare you to get them all. CHALLENGE A FRIEND OR THE WORLD! If running forever seems boring to you and dodging cars is just way too easy, well then fear not gamer friends! Don't Kill the Puppy features a distance/point based Leaderboard. Challenge yourself, your friend's high scores, and other players around the world to see who can travel the farthest in a single play. How far can you go? Well first you need an Android capable device, we highly recommend that you are running a decent device with at least 2-3GB of ram, and the latest version of Android. Currently, our app supports 5.1 and up. We may update this at a later date as technologies change. 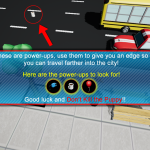 Once you are sure your device is good to go, just direct yourself to the Android or Google Play store and search for Don't Kill the Puppy or DKTP, or simply tap or click here to download the game. For more info on how to play, check out the tutorial screens below. These are taken right from the game itself, and you can find this from the title screen under "Tutorial". Can I play this game offline? Yes, but leaderboard info will not update. Is this game ad supported? Yes, we have a very small ad banner displayed on the bottom of the screen when you die. Is there a pro-version or ad-free version? No, this game is 100% free to own and play. The advertising supports programs for our professional and student/intern teams and allows us to bring more content to the Play store in the future. I am getting an XAPK error what do I do? Simply un-install the game, and re-install it. This should fix this issue about 99% of the time. If this does not correct your issue please submit a ticket via our contact form at the bottom of the page. The music wont play when I am playing the game or when the level loads? This occasionally happens on the load of the level, and we apologize for this as our team is still looking into the issue. If you repeatedly are hearing no sound or music, check the game settings or your device settings to ensure sound is turned on and up. Does this game run on tablets? At this time we recommend phones only. Due to the nature of the difference between some tablets and phones we cannot predict how the game will play on all devices. The game won't run at all, now what? We ask that if the game is not working to please submit a detailed request below using the contact form. Submit as much info as possible including phone type, Android version, error message if any, and other info about the nature of what is happening. We want to help! SO WHAT'S WITH THIS GAME, DO YOU GUYS HATE ANIMALS? First of all, no. We love animals, the game is meant to be humorous and funny and not intended to reflect or portray the thoughts or ideas of any member of our design, creative team or staff. That being said, I am sure we will get tons of emails saying we are a bunch of jerks, but rest assured we are all animal lovers, some of us here even donate our off-time to rescue and rehab stray animals and find them homes. A portion of the ad proceeds that are earned from this game will go to support the strays and other rehab animals we help. 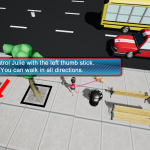 Hepcats Game Studios is a division of Hepcatsmarketing and our team of talented student and professional artists and developers made this all possible. All characters, animals, places, and objects are not related to anything in real-life. 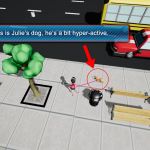 Characters in the game are not related to or portraying any person living or dead. Any similarities to any real characters or people are coincidental. No animals were harmed, or mistreated during the making of this game. All rights reserved 2012-2017, Hepcats Game Studios, a division of Hepcatsmarketing and FLBT Ent, LLC.. All characters and related materials © FLBT Ent, LLC. 2016 - 2017. Achievement Icons Designed by Freepik.com/Flaticon.com - Support the artists and work at Freepik.com & Flaticon.com. 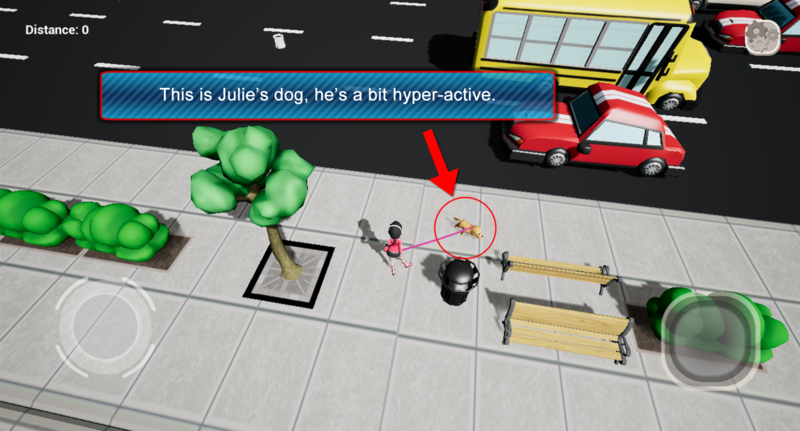 "Don't Kill the Puppy uses the Unreal® Engine. Unreal® is a trademark or registered trademark of Epic Games, Inc. in the United States of America and elsewhere" - "Unreal® Engine, Copyright 1998 - 2017, Epic Games, Inc. All rights reserved." All rights reserved 2012-2017, Hepcats Game Studios, a division of Hepcatsmarketing and FLBT Ent, LLC.. All characters and related materials © FLBT Ent, LLC. 2016 - 2017. The Android logo, and Unreal Engine logos are the property of thier respective copyright holders.